Thrasymachus and the principle of plutocracy. Thus Thrasymachus, in Plato’s Republic. In recent discussions I have imagined a brazen young mercenary, a cynic given over to his acquisitive impulse, a member in good standing of the Thrasymachan Party, in the form of a modern financier. Probably he works for a big bank, or once did and now plies his trade by his own lights, by the skills and connections built up over a career of sharp-dealing and success. Maybe he did a stint with Treasury or the New York Fed or the IMF — a little strategic public service after he left Princeton. Now he can get the Secretary of Treasury (an old classmate maybe) on the horn in two minutes flat. The Chairman of the China Construction Bank consults with him regularly. He is master of the universe. It seems that the Thrasymachan Party’s naked acquisition, this “crass and ignorant” creed of moral rejection, has the power to make liberals sound a lot like conservatives. Step2 has crossed an important line, as I understand liberalism. In this statement, the public square is no longer neutral as regards moral systems. Public authority, according to this statement, must be willing to take sides and make people “pay an immediate price” for the promoting Thrasymachan ideas. The liberal posture of neutrality as regards philosophical systems cannot coexist with this principle of proscription that Step2 has announced. For of course, as I said elsewhere, a whole hell of a lot can be packed into that “depending upon” phrase in Step2’s statement: It is not altogether rare that when a materialist comes under pressure of events, he shows, despite his theory, evidence of character. The financier may say he owes nothing to weakness, but when push comes to shove he may prove a better man than his creed. He may be too decent to embrace the logic his philosophy promotes. So the financier in front of you may well be a law abiding man, even a charitable man in a sentimental way that belies his materialism. He may not be a good man, but neither is he a through and through wicked one, so he cannot live out his materialism. His actions prove that he believes in justice despite what he says about it. So I say again that as a liberal Step2 has crossed a pretty important line if liberalism is what it claims to be concerning moral philosophy in the public square: neutral, procedural, offering all parties a free claim, not burdening private beliefs with prohibitions or privileges. Here Step2 emphatically wants to privilege moral character, and punish those who repudiate it. And since a statement of materialism like the one I have put in the mouth of the poor financier constitutes a very cynical but difficult to answer repudiation of character, any liberal petition to erect social, political, or legal proscription against this doctrine is a bracing sort of statement. It is statement which, if uttered by someone like me, might well provoke in liberals a brief seizure of reproach for its authoritarianism. In a word, we’re well beyond liberalism when we’re discussing the question of how best to proscribe dangerous or harmful doctrines. Recall that Step2 already said he’s prepared to “sacrifice plenty” to effect these proscriptions. In other words, he’s prepared to give up a lot of liberalism in order to get moral obligation. So if Socrates is truly debasing the young with Thrasymachan ideas, by golly we’re not going to hesitate to arrest, try and finally throw that teacher of evil into prison. Secondly, Step2 appears to have taken my remark concerning “the vain hope that enough people will grow bitter about this that one day, through the magic of plebiscitary democracy, the Left will reign and the plutocracy can be plundered” — taken this to evince some sympathy for plutocrats. Most likely this misinterpretation suggests an error on my part in conveying my view. Plutocracy is simply the power that materialism makes in the world. It is acquisition as a political principle. The financier says he intends to perpetuate his strength because he believes in the Thrasymachus rule, that justice is the advantage of the stronger. Plutocracy is the social instantiation of that reductionist creed. I have no sympathy for this materialism. My politics regards the acquisitive impulse as a capricious and destruction tendency in most cases. It is only beneficial when strongly fettered by a code of moral obligation. Ayn Rand was mostly a lunatic whose negations of all that is outside the material compass lead her into ruin, as Whittaker Chambers so elegantly explained. In a word, I want to plunder the Thrasymachan Party too — after a trial or public examination exposes its ill-gotten gains and its misbegotten creed of materialism. But the key phrase in the quotation of me is “the vain hope.” The chance of actually managing to plunder the Thrasymachans, given the constellations of political forces and philosophical systems, and plunder them in a just way — i.e., not by lawless violence but by legislation and reform — seems to me very remote. Commenter Al’s narrow system compels him interpret this as me saying “roll over and die” — a counsel of despair. But of course what I am saying is that we have to repudiate falsehood before we can expect reform of the social and political fruits of that falsehood. Once materialism is set aside, many good reforms will be possible. Once men acknowledge that justice is not the advantage of the stronger but rather an ancient and enduring Reality, even insidious evils may yield to wise statecraft. Once men see that a transcendent structure of moral obligation binds them; that this system is not, in fact, malleable according to their desires; that, indeed, their deepest desires may at times long for vice and pillage, which means that life must often consist of a struggle against the native desires in them, an lifelong effort to fetter those desires with exterior discipline, discipline that comes by way of counsels from beyond our material world — why, once men embrace Christianity, they will find that reforming the plutocracy, far from a vain hope, is a task rather easier than they remembered. For it is the Christian philosophy, not the reform of plutocracy, which has been found difficult and left untried. First of all, thanks for the post. Second, your idealized depiction of materialism seems to be more of a caricature than any actual description. Let me provide a counterexample to show you what I mean. As many here may be aware, snake handling and drinking poison are a routine ritual in some rural churches of a fundamentalist sect of Christianity. As far as I can tell, there isn't anything a moderate Christian can say that could refute them as being un-Christian. They are taking a clear and plain passage from the Gospels (Mark 16:17-18) that is attributed to the risen Messiah and practicing their Faith in a way that few modern people would ever seriously contemplate. If I were feeling peevish, I could go around every day pointing out how hypocritical and faithless the vast majority of Christians are for disdaining their Savior's explicitly stated signs of belief. From my viewpoint, that is analogous to saying that all materialist are logically compelled to reject morals. The first answer to that is, "You are profoundly mistaken." The second answer is that morals enforcement, at least in the case of the financier, need not be enforced by public authority. I was making an observation about my own individual response. Presumably I have as much right to act upon the financier's statement as he does to try and achieve it. Somewhat related to this whole line of thought is a deep appreciation for the Civil Rights movement in America, which was largely a grassroots campaign with a few charismatic leaders that challenged this Thrasymachus version of justice. I take materialism to be the doctrine that the material world is all there is. In other words, supernatural is a nonsense word. Anything outside the compass of the natural by definition cannot exist. I've been waiting for Al to give me a thoroughly materialistic account of morality or this "character" to which he has recently referred arises, that is, an account of how a standard of justice arises out of a purely natural world to judge that world; but as I say, Al is a true master of evasion on this point. Socrates, for his part, seems to assume that to allow a standard of judgment at all is to refute materialism. I don't see how your snake-handling example is really comparable at all. How are "the vast majority of ["moderate"] Christians," who demur on the matter of snake-handling, "disdaining their Savior's explicitly stated signs of belief"? The signs of belief are a topic of regular discussion throughout the Bible, and often addressed by means of figurative and dramatic language. Why this passage must be crowned king of doctrine is not clear to me. I also don't think you can escape the dilemma sketched out above unless you're willing to walk back your statements about "sacrificing plenty" "to make [the financier] pay and immediate price." I think you've given perfectly sound reasons for believing that certain doctrines do indeed merit the hostility of public authority. Whether that issues in direct legislation or merely social ostracism is a secondary matter. Paul, thanks for the further explication but i fear it shows considerable misunderstandings as to liberalism and materialism as well as a theory of social action that can only empower evil, which as I have previously pointed out, is what you have actually done. "But of course what I am saying is that we have to repudiate falsehood before we can expect reform of the social and political fruits of that falsehood." What you seem to be saying is that our young financier is operating on some second or third order considerations. i hold that he is acting on hubris and hormones. That is why materialists and idealists alike have the same faults and commit the same transgressions and that is why your call to "repudiate falsehood" is at best a waste of time and energy and at worst an enabler of the fruits of that falsehood. Back to your example. It would be wonderful if our young financier understood the dangers to himself as well as the broader economy from his values but in the end that is irrelevant. We have figured out that managing an economy to the advantage of a few is short sighted and destructive. As long as our YF is constrained by rules he should be free to believe as he wishes. What I don't understand is why you care what the young and dumb believe. He believes he will always have a seat when the music stops. He is a fool and you want to put the world on hold until all the fools become wise? I'm asking you to show me why the Thrasymachus doctrine is wrong. If it's not wrong, then the financier operates within it not foolishly but wisely -- he works to get his, which is the only defensible principle for a world where justice is the advantage of the stronger. Also, where in your vocabulary is there a public category for "evil"? Haven't you said, time and again, that such moral matters are fine as regards private belief but inadmissible as regards public authority? Snake handling does indeed take for itself a passage of Mark. If the words are not clear enough, the context of these quotes are more than sufficient to pulverize your argument. In this matter, the venom of the snakes should be the least of those peoples' worries, for they are risking the sting of hellfire. Now, should the Christian have NEED to grasp a snake in the course of fulfilling his Christian vocation, that is entirely different. The same applies to poisoning, tongues, and healing. So, no, I am very much at odds with the Pentecostal folly on sound Christian footing. I take materialism to be the doctrine that the material world is all there is. That is the narrow definition I am disputing, hence my point about snake handling. Moderate materialists can emphasize the material world without rejecting poetic metaphor and our moral sense. I think you've given perfectly sound reasons for believing that certain doctrines do indeed merit the hostility of public authority. I wouldn't support a legal prohibition of his right to free speech, but some of his actions could deserve legal punishment. I do however support social ostracism and economic repercussions for his speech. I haven't the time to figure out how this fits into the discussion, but the "snake handling" passage is from the long ending of Mark, which even the most troglodytic of conservative, orthodox New Testament scholars (may their numbers increase) would consider to be inauthentic. The best evidence is that the original ending of Mark has been lost. And lest there be any confusion, I mean "take to be inauthentic" on completely independent textual grounds that have nothing to do with the fact that snake handling is in the content. Moderate materialists can emphasize the material world without rejecting poetic metaphor and our moral sense. There are two elisions in this statement, in my judgment. One is that "emphasize" is a word that does not fit with the doctrinal element I am describing. To deny the spiritual is hardly the same as "de-emphasizing" it. Add a touch of agnosticism and the materialism is not, in fact, a Thrasymachan dogma; it allows that maybe, possibly, way off at the end -- which is why we shouldn't emphasize it -- there may well be a spiritual realm of rewards and punishments where True Judgment is rendered. Thrasymachus is not like that. There is not a lick of humility in him in before Socrates disarms him. His very name implies that fighting spirit, that reckless will to vindicate and possess, which is the very emblem and ensign of his legacy to history and thought. I have now repeated the point, several times, that it is obvious that most materialists are indeed moderate, in the sense of moderately disbelieving in materialism; which is why many of them, heroically almost, give honor to the structure of morals their tongue denies. The second elision is this introduction of poetry. Fascinating indeed. What can poetry mean if material is all there is? The very word "metaphor" elevates us. It lifts our eyes to Beauty, which is also a thing outside the material world. Beauty is a emergent property; it must have positive content or it is an illusion. Note that you don't have to be a Christian to see this; a Buddhist no less than an ancient Platonic thinker, no less than a pagan Roman or Jew or Muslim, can observe that the material does not exhaust the fullness of being. I hope that I managed to show above that your earlier statement, the one about your reaction to the boast of the Thrasymachan Party, very much did imply more than what you say here. We were talking about beliefs not actions. Keep in mind that we live under a regime where many of the actions of usury and imposition are part of our positive law. The preacher who can imagine a hopeful message toward ready legislative remedy will convince anyone, is not a particular self-conscious preacher. In fact he is fit for ridicule. Keep in mind that workable legislative or regulatory remedy is, very probably, a false hope. Moreover (as I believe) keep in mind that such positive-law emollients to plutocracy as we already see -- the cosseting that the financiers get in our laws and regulation -- will only accrue in strength and ambition so long as the philosophy of materialism is accepted. ABANDON MATERIALISM, ALL YE CAPTIVE SOULS. True, but even so, the doubtful ending of Mark is still canonical. In any case the Church E and W has never considered those things mentioned there as dominical commands. As far as I know, interpretation of that sort is confined solely to Pentecostalism, which is notable for its bad hermeneutics. I know this first-hand, as I was a Pentecostal for many years. Beck's take on this matter is fundamentally incorrect and thus is not germane to the conversation. If the material exhausts the fullness of being, then, as Warren Farha puts it, "all there is is the ego and its pleasures and its will to power." Dostoevsky got this, as did Richard Weaver and Flannery O'Connor. Materialism results in a purely human, and thus purely arbitrary, morality. I like metaphors too, but language itself is a kind of ‘metaphor’: We can say something true of the world or something false, and we can’t always tell one way or the other. Saying something false may not change the way things are but language is the reason we can be wrong about the way things are; and sometimes perhaps we’re not even wrong. OK, if ‘nonsense’ is meant in the sense Wittgenstein’s Tractatus is nonsense, and if you substitute knowledge claims for existential ones (‘all there is’ and ‘cannot exist’), i.e. supernatural things aren’t knowable in the way natural things are, then I think I’d agree. I’m not quite sure what this would make me; would you still call on me to abandon this position? Abandon it for what? According to the book of Acts, Paul was bitten by a snake and survived, and this served as a sign to the citizens of Malta. If we were to waive the long ending of Mark issue (which I don't think actually that we should, as I believe it is genuinely an add-on), Christ's words there could simply be taken as a list of examples, including a prophecy of St. Paul's experience. To begin with, all I may ask is, "Since when has Liberalism ever, ever been morally neutral!?" Liberalism IS a moral system unto itself and suffers no contenders. Its claim to hold morals in neutral context is only true inasmuch as it patronizes and holds contempt for all other moral systems nearly equally*. As for Thrasymachian greed, all I can say is that it must be removed from its cherished position of "virtue" in the polity, and yet it would be better to suffer under such injustice than the envy that is the root of the Leftist idiology. I say this as there is a limit to the scope of avarice by way of diminishing returns. Should the miser be convinced that obedience to a portion of Natural Law is within his best interests in maximizing his gains, he will slavishly follow his appetite. Now the sin of avarice is in neglecting the dignity of the miser's fellow man, whereas the sin of envy is not bound by personal interest, but rather the desire to harm others. As such, diminishing returns are inconsequential to the Leftist. No, the kulaks must pay a "fair" price for their evils, with fairness dictated in like manner as Cain unto Abel, and damn the consequences. Now, since this is about materialism unto materialism, let us first consider what is consistent materialism, and hold it up against all challengers. As the materialist must obey the imperatives given him by the material world, or cease to be materialist, the obedience to biological imperative trumps any regard for the hedonistic. Of course, it is understood that the hedonistic appetite is meant to drive a person towards achieving biological aims. Now as rational creatures we are given the ability to strive towards those aims with greater finesse than a dumb beast, yet we are also prone to using that very rational nature to rationalize our deviance from the biological ideal. With this in mind, the human being has two competing drives to fulfill his biology. The first is for self aggrandizement, for the strong are more capable in providing for both themselves that they may live to produce offspring, and also for the provision to their offspring that they may also thrive and thus continue the biological process by yet another iteration. The second drive is less direct, being of more recent adaptation**, and that is the communal. Humans, without their tools and tribal coordination, are about as threatening as an opened tin of spam to most predators, and incapable of survival even without the threat of predation. As such, the human being is apt to establish altruistic bonds with members of his own tribe for mutual benefit in specialization, force multiplication, and increased likelihood of finding a mate. In acknowledging these drives, it is not inconsistent for the plutocrat to give vast fortunes away to those of his own tribe who are in need, nor for the tribe to not blame one of their own for amassing great wealth. As such, it is not beyond the realm of reason for the weak to prop up one of their own to be strong, that he may act in the interests of himself and his own. Now there are hard limits on tribal affiliation, and therefore altruistic behavior, and this reality should not be denied. While a materialist may scoff at the fallen nature of man, some degree of credence should be given to such things as Dunbar's number and its implications. This, of course, is perhaps the greatest stumbling block of benign socialism, and the third greatest for the socialism espoused by the modern Left, as it demands serious thought be given to Subsidiary. Now onto the Young Financier. The social realities of Faith and Family have been eviscerated, thanks to Leftist social engineering, and suburban or trendy urban existence insulates him from establishing ties with nearly anyone outside his income and profession. As such, his tribe consists primarily of fellow financiers and plutocrats, and thus his perception of the greater good, the guidance of law, and loyalties are established as such. People outside his social range will never be "as real" to him as his fellows, and so he will act for the aggrandizement of himself and his own. The same can be said for CEO's, union reps, lawyers, celebrities, etc. That the financier may destroy the livelihood of millions by the actions of his hubris is inconsequential from his perspective. His first and only priority is to see to the recovery of his financial tribe. As such, he does not care so much about whether a Republican or a Democrat is in power, he must persuade such a person to act in his interests by any means, and doesn't give a damn about how much a politician will castigate him to the unwashed masses for his own greed so long as he gets his (and his tribe's) money. So what is the answer from the Left? Class warfare. Great, now what few bridges that remain are burned down and the wealthy become an ever more incestuous circle with a validated siege mentality. So what do desperate people with vast resources do? What don't they do? Short of a sudden, bloody coup, the Left will either make the plutocrats flee with their money to a more welcoming home, become compromised through bribes and flattery, or misdirected entirely by the plutocrats declaring themselves as "class traitors", and thus becoming the very vanguard against their own abandoned battlements. With the battle won, the plutocrats make a great show of redistributing the plunder, always mindful to keep the choicest parts for themselves. And so the cycle continues on. So here's the real problem: How do we untangle this Gordian Knot since the sword of the Left does not, cannot, and will not avail? * I say nearly equally as I hold it to be a truth of human nature that every heresy and orthodoxy, be it in theology, philosophy, the sciences, or stamp collecting, hold mutual detestation for each other that cannot be equaled by hatred of that which is entirely alien. In this case, the Liberal heresy loathing Christianity above all other things. ** Biologically speaking of course. To my knowledge, theology holds that altruism is the primordial nature of man, and concupiscence a product of the Fall. I wouldn't discount Thrasymachus entirely, as it can be argued that his position represents the older, more artistocratic moral code, a moral code where morality is equated with birth, beauty and position. Good means noble, moral and good looking. Thersites in the Iliad calls into question this morality and is called the "ugliest of men." Socrates, who called into question this older morality, was called by Nietzsche "rabble," representative of "ugliness" and possibly a non-Greek (Twilight of the Idols). Of course, Aristotle is not as radical as Socrates and continues aspects of the aristocratic tradition. In the Nichomachean Ethics, Aristotle writes that one "very ugly in appearance" or "ill-born" cannot achieve eudaimonia. And, unlike Plato, Aristotle doesn't speak in absolutes, thinking moral codes differ for different people and that different forms of government (democracy, oligarchy or monarchy) are better suited for different states (based on the peoples' own unique histories and innate temperaments). Of course, in some respects, Thrasymachus may not be entirely representative of the older aristocratic caste, as this caste was a warrior and religious caste, not a commercial caste. But these aristocratic proclivities continue after Plato. Both the upper-class Greeks and Romans were very skeptical of wealth (although they tirelessly sought to acquire it). Most republican Romans would have a head slave engaged in their business transactions as they saw money to be dirty. Thrasymachus has some of the greatest comic dialogue ever written. What makes him so sympathetic is that most of us are prone to the same moral confusion he is in. We always gravitate towards the view that injustice is better than justice. It takes alertness to remember why that view is false. Yes, his way of thinking is infantile in a way, but it never loses its allure. I am always touched to see the clarity with which he expresses his broken opinions. There is a misunderstanding about liberalism in this post. I don't know of any liberal who believes that the public square is neutral as regards moral systems. If liberals believed this, they would hardly be expressing moral outrage over, for example, the swinery of calling for cuts to social programs for the middle class just two months after having extended tax cuts that are welfare for the children of the ultra-rich. Liberalism is, and has always been, informed by substantive morality (of the truly aristocratic, not the Thrasymachian sort). It surprises me that anyone would think otherwise. Thrasymachus is not like that. There is not a lick of humility in him in before Socrates disarms him. His views weren't quite as simple as you have portrayed them. Keep in mind that workable legislative or regulatory remedy is, very probably, a false hope. Wait, wasn't al supposed to be the one who had the counsel of despair? "There is not a lick of humility in him in before Socrates disarms him." Keep in mind that few of them had humility, as in pre-Christian European societies to be humble was to be slave-like. 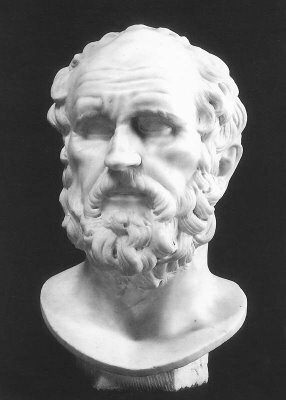 MAR - Plato is, of course, relentlessly unfair to the representatives of "the older, more aristocratic moral code," except, perhaps, in the *Gorgias*, where Callicles - a truly formidable character - very nearly steals the show. Thrasymachus, in Book I of the *Republic*, is sadly overmatched, even though Socrates is at his pettifogging worst, there. From a pedagogical point of view, it's very unfortunate that Plato's most important dialogue begins with such a frustrating exchange. Plato does allow Thrasymachus to make some good points. But Paul's quote, which joins 338c to 344c with a gigantic [and] in between, does him a serious injustice. “I say that justice is nothing other than the advantage of the stronger [and] injustice on a sufficiently large scale is a stronger, freer, and a more masterful thing than justice” is obviously self-contradictory. But it's pretty easy to Imagine a Smarter Thrasymachus who beats Socrates all hollow. SB: You're completely correct. Doesn't Nietzsche say somewhere the Socrates intentionally looked for weak opponents so that he could bully them? Or, put differently, one could say that Plato intentionally constructed weak opponents so that Socrates could bully them. It's been sometime since I last read Plato but I always remember Meno's weak defense of "right opinion" (orthodoxy) as annoying. Fortunately, Aristotle later rectifies this by saying eudaimonia should be guided by virtues, which are reflections of traditional Greek morality (i.e. right opinion). I see that I misinterpreted your comment about al, sorry about that, Still, you seem to be letting the forest (socially dominant materialist mindset) confuse your intention to cut down a few rotted trees (abusive avarice). Steve and MAR allege that I have not given poor Thrasymachus his due. To take his doctrine and put it in the mouth of a master financier is to diminish the nobility of the ancient aristocratic austerity and excellence that he stood for. But I certainly don't "discount Thrasymachus entirely." I hope it's evident that I think he presents a serious challenge to any regime or philosophy which privileges the materialist approach to life, whether Plato depicted his argument fairly or not. In a word, I think he is formidable antagonist to any modern liberal who wants to have virtue without orthodoxy. Forget Thrasymachus. Callicles, now that's where the action's at. "Keep in mind that workable legislative or regulatory remedy is, very probably, a false hope." Why? Perhaps because you have painted yourself (and the nation) into a corner? The New Deal regulatory regime worked well enough until we decided that "government was the problem" and backed off. If a programmer sets billing up so that a few cents per transaction goes into his account we have no problem seeing his act as criminal and dealing with it. If it was suggested that the only way to deal with the theft is to convince him through philosophical argument that he is wrong, we would think the suggester somewhat strange. Your first step should be to explain why it is wrong to deal with this (the YF's) brand of criminality any differently then other classes of criminality. Given your deference to our YF perhaps you have internalized more of Thrasymachus's POV then you realize. Really, Al, repeating objections that have already been answered (to your own satisfaction!) does your intelligence no credit. You may really and truly think that a legislative reform package that (a) rebuilds the quarantine of investment bank, (b) forces Goldman and its imitators back into private ownership, (c) slaps a few basis points of taxation on securities trading along a scale of abstraction, is a thing likely to happen in the real world of today; as I said above, if you think such utopia is in the offing, you're fit for ridicule. My suspicion, of course, is that you're not actually that naive. You don't expect Sen. Sherrod Brown to be writing the regulatory legislation for Wall Street any more than I do. This is just another evasion. However, out of a reckless respect for dialogue, I'll again repeat my answer to that: Sherrod Brown, or someone with views on finance capital like his, will never write our securities laws because this republic is oppressed by a very powerful plutocracy; which plutocracy, having come into power by means of ruthless and cynical materialism, will grow increasing entrenched and insuperable as the philosophy of materialism is enshrined as our public orthodoxy. Thus the opposition to materialism is intricately bound up with the opposition to plutocracy; and your months-long refusal to even enter a discussion on the merits of materialism is evidence of your insincerity in opposing plutocracy. What the hell is a moderate materialist? Lydia - The best evidence is that the original ending of Mark has been lost. I ain't no bible scholar, but I'd like to know how something that's been lost can serve as evidence. It's what's there, Bill. It looks like the last word was a Greek word that nothing ever ends with, like our cutting off a sentence with "but..." would be in English. The evidence that the contested ending was added is manuscript evidence--where it is and isn't to be found--as I understand it. In a word, I think he is formidable antagonist to any modern liberal who wants to have virtue without orthodoxy. Utilitarianism, egalitarianism, social justice. Is there some reason I'm supposed to believe those aren't modern liberal orthodoxies? ...which plutocracy, having come into power by means of ruthless and cynical materialism, will grow increasing entrenched and insuperable as the philosophy of materialism is enshrined as our public orthodoxy. Do you think they are more ruthless and cynical than the railroad, steel, finance, and oil tycoons of yesteryear? I don't. ...I'd like to know how something that's been lost can serve as evidence. The patristic evidence is older than any manuscripts, and it favors the longer ending. Bill: "emergent materialism" would be one version of "moderate materialism." There are others. "Eliminative materialism" is the *extreme* version of materialism. It enjoys a lot of support among present-day philosophers. Paul - Thrasymachus was a well-known sophist, and by no means stood for "ancient aristocratic austerity and excellence." Personally, I think it's best to think of him as a sort of proto-Marxist, arguing for the disillusioning doctrine that going conceptions of "justice" were a more or less self-interested fraud promulgated by the empowered. Would his modern equivalent prefer to torch Goldman Sachs, or to work for them? Who can say? Trouble is, he's kind of dumb, and puts on a very poor & confusing showing under Socrates' cross-examination. Anyway, it's not that I think you "have not given poor Thrasymachus his due." It's that I don't think that "his doctrine," as I understand it, fits very well "in the mouth of a master financier" of our time. Well, since that doesn't mean anything to me, I looked it up. If John Searle is an example, seems to me he wants to have his cake and eat it too. "Hey, cheer up, your subjective consciousness is real. That's the good news. The bad news is that it has a material cause. Once the material goes away, so do you. Sorry about that. But it was real while it lasted." There's no such thing as a moderate materialist. "Hey, cheer up, your subjective consciousness is real. That's the good news. The bad news is that it has a material cause. Once the material goes away, so do you. Sorry about that. But it was real while it lasted." In one sense of "your subjective consciousness" that is true of your will, which even theists acknowledge a radical difference in the afterlife. In a more poetic sense, it is contestable. If you maintain a distinction between the mental and the material, the mental world is a mixture of private and public language and programming. So if you contribute to history in a significant manner, like an Aristotle, Caesar, Shakespeare, or Einstein, then your intellect, or imagination, or even personal preference "can" resonate through space and time, although not in a way that you can control. Even a purely negative influence like Hitler can become immortal in this fashion, but of course he is condemned by all decent people. "Really, Al, repeating objections that have already been answered (to your own satisfaction!) does your intelligence no credit." My take on your comment was more meta then about specific legislation. "However, out of a reckless respect for dialogue, I'll again repeat my answer to that: Sherrod Brown, or someone with views on finance capital like his, will never write our securities laws because this republic is oppressed by a very powerful plutocracy; which plutocracy, having come into power by means of ruthless and cynical materialism, will grow increasing entrenched and insuperable as the philosophy of materialism is enshrined as our public orthodoxy." And the cookie jar broke on its own? Materialism just appeared and the plutocracy just happened? You must have a theory as to how we didn't have a plutocracy then we got one and just how "materialism" made this happen? What sort of a time line do you propose? I realize you want to take this in a really abstract direction right away but i don't see how that can be useful without first of all laying down some facts. As Step2 just mentioned, what about the Guilded Age plutocracy? What crimped it? The Atlantic, of all places, has a very interesting story about the plutocracy. I thought the part about philanthropic foundations are of particular relevance to this discussion. If it has a material cause, that cause is chemical. If it's chemical it's mathematical and if it's mathematical it's determined, since mathematical laws are determining laws. The freedom of the subjective consciousness is an illusion. And then -- mirabile dictu! -- we're back to Dostoevsky again, with the Underground Man hypothesizing that one day all human activity will be predicted and planned via logarithms, and man will simply be an "organ stop." In other words, it seems to me that you cannot be a materialist without simultaneously being a determinist. You can fudge your way around this, I guess, but as Bill says such fudging involves eating your cake and having it too. Certainly. They can do this by embracing materialism some of the time and (during that time) undermining their own sense of morals, and then later they embrace morals and (at that time) undermine their own materialistic ideas. In other words, by self-refuting contradiction. But they cannot do it by a rational fusion of the two, because materialism as such cannot be fused with morality, to which it is contradictory. They cannot embrace both with ideas that have been thought all the way through. You have a choice: you can adhere to thoughts that have been thought all the way through, and thus know what you are adhering to, or you can adhere to thoughts that have not been thought all the way through, and thus (frequently) adhere to oxymoronic jumbles. In other words, it seems to me that you cannot be a materialist without simultaneously being a determinist. Wait, wait, Rob G., you forgot the part where (some) materialists will wave the quantum mechanics wand and deny determinism in physics, thus ostensibly making us all feel better. But then we're back to the _other_ horn of that old darned dilemma--in that case human actions are random. Which is hardly comforting. Rats. A "materialist" who embraces real, robust, free agent causation is, as Tony suggests, a materialist who contradicts himself. Tony, your comment shd. be posted in Steve's new thread. Very worthwhile comment. Al, no way I'm going to play this game again. I have a long trail of writing -- much of it at this website, but also at other venues and even in print -- about the facts of the rise and aborning triumph of the plutocracy in America. I have linked to these essays repeatedly throughout our discussions and I'm not going to do your homework for you again. "Wait, wait, Rob G., you forgot the part where (some) materialists will wave the quantum mechanics wand and deny determinism in physics, thus ostensibly making us all feel better. But then we're back to the _other_ horn of that old darned dilemma--in that case human actions are random"
Exactly, Lydia. And "meaning," in any real sense, can exist with neither horn. Organ stops exhibit no meaning, and neither do those little battery-powered cars that go around in circles and bump off walls. "I have a long trail of writing..."
Which means that it should be relatively easy to produce a concise (like one or two relatively short paragraphs) restatement of the direct connection between a generic materialism and the rise of this plutocracy. Such a statement would be useful for those who are new or don't have time to go through the many pages to which you refer. It would also put some much needed focus on the topic that it might not spin off into a general discussion on the umpteen flavors of materialism which is to be expected when so many are so interested in idle abstraction. The problem is that you gave the whole game away when you brought Sherrod Brown into the discussion as an example of the impossibility of using positive law. Sherrod Brown is an elected legislator and he isn't the only one currently in the Congress who would vote for legislation you would favor. It seems all we would need to do is add more legislators like Sherrod Brown and remove those who have demonstrated themselves plutocratic tools. Perhaps our discussion should at least explore supporting the good guys and opposing the corrupt and inept? To consider political action futile out of the gate and then propose a general and universal philosophical (theological?) realignment (conversion?) is interesting to say the least. If one finds oneself in such a place perhaps one is thoroughly lost and some fundamental re-evaluation is in order. As I see it, a good beginning would be to study the various economically oriented charts and graphs (like the ones you recently posted) that are available on various sites. Before we take refuge in ultimate concerns, I would suggest that a simple look at when the trend lines changed such that the metrics began to favor plutocracy in general as well as rent seeking and usury in the United States. The trend lines show a change in the early to mid 1980s. Did we have a materialist resurgence in the 1980s? If ones moral sensibilities recognize only zebras and this is North America, what is one to do?. The article to which Step2 linked is sobering. There are well over 2 billion folks in India and China. If we add four to the middle class in those nations and subtract one here, we run out of middle class. Again, the fact that you reject the solutions I have provided to these dilemmas is actually not the same as me failing to provide solutions. Normally this sort of thing is a distinction that everyone can grasp. What point is there for me to write out those "one or two relatively short paragraphs" when a comment or two later you'll go back to pretending I never wrote them? How many times, for instance, have I had to restate certain specific legislative proposals to you? At least three or four times, by my recollection; each time in response to some kind of impatient demand for concrete specifics from you. I'm beginning to think that maybe you're nothing more than an astroturf algorithm designed by some PR firm. Let me ask you to strain your memory and intellect to discern what possible reason I might have for opposing the project to "add more legislators like Sherrod Brown" to Congress. Can you come up with anything, anything at all, that, based our previous exchanges, might present such an obstacle for me? You may note, however, that the subject of this blog post is actually the philosophical principle of plutocracy, which can (I argue) be shown to approximate that ruthless immoralism, that reduction of justice to mercenary acquisition, neatly summarized in the portion of Plato's Republic referenced here. Since it's been a while since I've done a music link, I'll go for a Dylan tune that may be relevant. The website hosting it has tons of Dylan's concerts, check it out.